LOS ANGELES -- An unidentified odor caused a health scare aboard a plane at Los Angeles International Airport on Thursday, officials said. 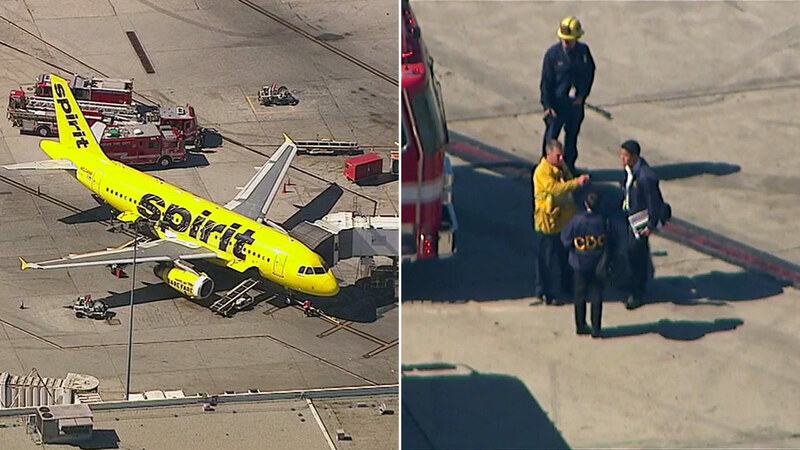 The plane in question was Spirit Airlines Flight 404, which arrived at LAX from Atlanta, airport officials said. According to a statement from Spirit Airlines, passengers aboard the plane reported a sweet smell in the mid-section of the aircraft for a brief time but nowhere else on the plane. Flight attendants alerted the pilots, but the smell dissipated quickly. The flight continued to LAX without incident, the statement read. LAX police said only one person felt ill and was treated. Earlier, police said approximately 20 people reported feeling ill, and CDC officials were seen boarding the aircraft from the tarmac. Airport authorities said all of the passengers planed, and they were not aware of anyone requesting any medical attention.